Saw Dr Mann in consultation for my varicose veins. He took his time listening to me, reassured me and I felt safe and comfortable with him. I ended up getting the radiofrequency ablation procedure for my terrible veins. Now I must say I have legs that are symptom free Amazing! What a fantastic job he did. The staff there is wonderful. Made everything so easy with the paperwork. They genuinely do care for patients at this clinic. Cannot say that for the other vein clinics I initially had consultations with. Definitely he is the vein doctor to go to. Went to the Secret Vein Clinic because I had severe varicose vein symptoms for years. I used to wake up with terrible pains and cramps in my legs. Dr Mann examined me and I immediately felt comfortable during my consultation with him. He listened to my concerns which very few doctors really do. The staff was very helpful with the insurance paperwork and in getting authorization for my ablation procedure. Dr Mann was truly caring and very professional and I could tell he was very adept at what he was doing. He took care of those larger ugly bulging veins. Now I have legs that I dont have to be embarrassed about. I cannot thank Dr Mann enough for his expertise and genuine care during my treatment. Highly recommend this clinic to anyone with vein disease. I’m nearly 65. I’m active, fit and dedicated to staying as healthy as possible for as long as possible. But one day I got off my bike and discovered that a vein had blown up in my leg. Dr. Mann diagnosed the problem as CVI. He and his lovely staff treated me with knowledge, care and expertise. Luckily, I won’t have to go back. The Secret Staff are experts in treating vein reflux. Quality treatment from the start. My legs are so thankful…. they look & feel fabulous! I am so appreciative of my doctor. This place is top notch a true gem!just in time for summer. Dr. Mann and his staff are truly amazing! I had such a positive experience here all around. His staff is so friendly, professional and personable. It’s a great office right in heart of La Jolla. Dr. Mann really cares about each and everyone of his patients, he is the best at what he does! I love coming to The Secret! The staff is extremely kind and helpful every time I step foot in the Clinic. From Medical Consultations, Facials, to vein care, they always makes me feel like a VIP when I walk in. I go to Emily or Elena for their Medical Grade facials about once every two weeks and I know I can trust that my skin will be glowing and flawless when I leave. My skin has transformed since I have been coming to The Secret. The Estheticians do such a thorough job, I look forward to the facial all week because I am certain it will be a relaxing experience. I just love how relaxing it is. I believe everyone deserves a treat like this once in awhile and I wouldn’t go to anyone else for my skincare treatments. 5 stars for the best customer care in La Jolla!! My spider veins were so embarrassing that I feared wearing shorts or a dress for too long. Dr. Mann and staff addressed my concerns in a professional and caring manner. I was educated on what was going on with my veins, and the proper treatments I needed to get the beautiful legs I want. Dr. Mann not only treated my spider veins, but also the underlying cause, for long-lasting results. Dr. Mann’s assistant and staff are extremely knowledgeable, helpful, caring and friendly! I am so pleased with the results I have received! I can finally show off my legs again! I highly recommend Dr. Mann to anyone who wants to get rid of those ugly veins and be able to wear shorts or dresses again! Thank you to everyone at The Secret! Dr Mann and the staff were extremely helpful during my visit. They were able to treat my varicose veins, and my spider veins after I have visited several other doctors who could not fix the problem. I inherited my families varicose veins and doing the treatments with Dr. Mann were easy and painless. Summer is coming and I wanted to get this issue resolved once and for all. I have had several appointments with Dr. Mann who explained the process at full and educated me on the process and expectation of what to expect so there were no surprises– The doctor is straight forward and actually listens to your concerns. I’m kind of a chicken when it comes to seeing the doctor or dentist but my legs were getting really bad and I knew I had to do something about it. I am so excited to wear shorts and swimsuits this summer and not be embarrassed any more. Dr. Mann is great at post-procedure as well! Any questions I had were answered with confidence and care. His office is truly reputable and I recommend to anyone with the same issues as my own. 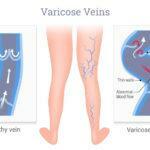 I am in my mid 20’s and I have battled with varicose veins my entire life. From this I have physically felt heaviness and emotionally have struggled with wearing shorts or outfits where my legs were exposed. I was referred to this clinic from my ER doctor after they confirmed my issue was not going to resolve itself. Feeling as if I was out of options.. I decided to try The Secret Vein Clinic. From the second I walked in I was greeted with top notch customer service. The place is beyond clean and everyone is extremely knowledgeable and educated in what they are doing. You can tell Dr. Mann is not only a specialist at this but this is also his passion. With confidence, I began undergoing my treatments with Dr. Mann where my varicose veins were SIGNIFICANTLY reduced. This had been something I have wanted my entire life! I am not only feeling more confident in my shorts but I feel like my entire life got a lift! THANK YOU SECRET VEIN CLINIC AND THANK YOU SO MUCH DR. MANN! Dr. Mann was so friendly & professional during my visit. The front desk clerk-who also acted as his assistant, Emily, was extremely polite and helpful. The office is just lovely. I had a treatment done on my face for spider veins. I was afraid it would really hurt but they blew ice cold air on my skin while performing the laser treatment and it kept the discomfort to a minimum. This was a great first experience for me! They did not push me to buy a bunch of products except for sunscreen, which I needed. And they weren’t pushy about that, really. I dreaded going in but walked out really happy that I did it! I highly recommend this place! Everyone was friendly, knowledgeable & welcoming.